We live in a golden age for collectibles, with almost every format representing almost every possible license. You have a movie or tv property that hasn't yet gotten the treatment? Fear not, it's only a matter of time. But with this influx of collectibles we've seen a hefty rise in price. Where once collectors paid $5 for an action figure, they can now paid $80. 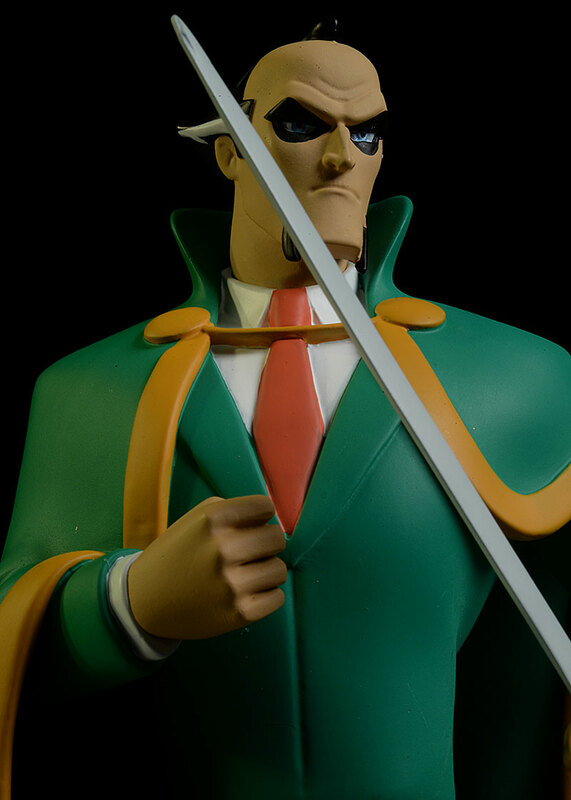 A 12" figure was $40, but is now $200. It's difficult for a person of normal means to afford many of the collectibles now on the market. 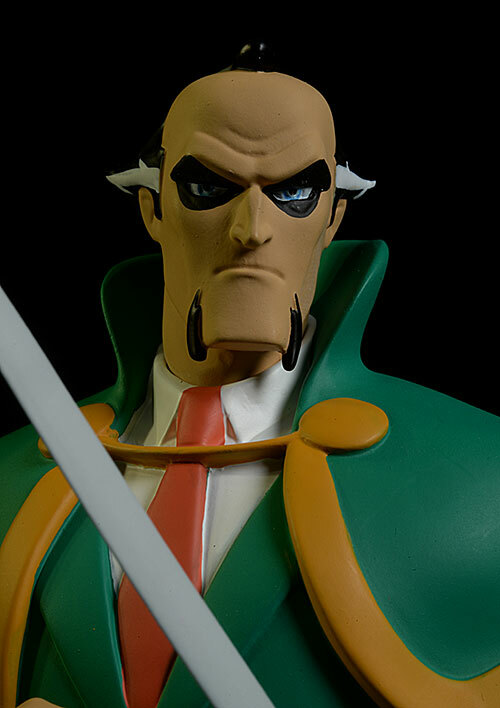 Diamond Select has bucked this trend with their lower cost statues and busts. 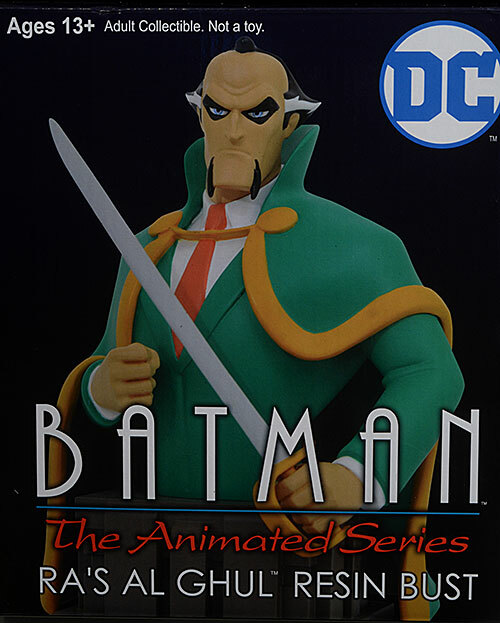 One example is the terrific series of mini-busts for the even more terrific Batman: The Animated Series. 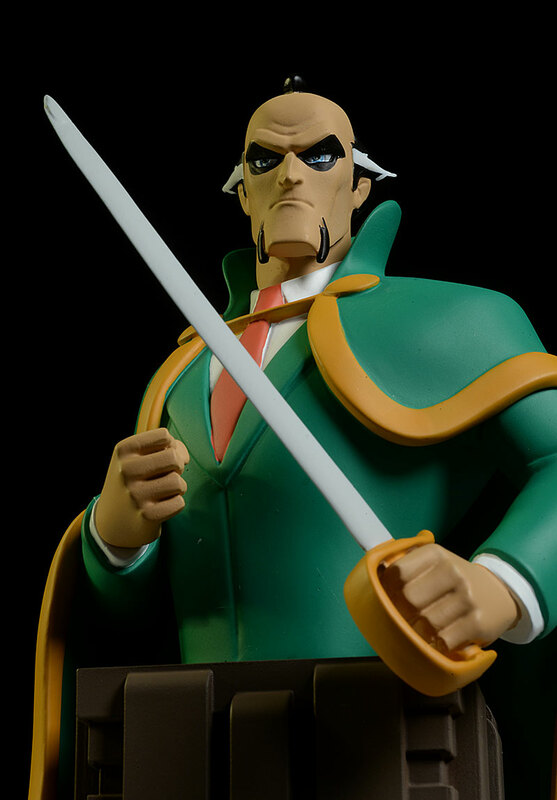 While keeping the price down, they've produced plenty of great characters, and the latest release in the line is Ra's Al Ghul. 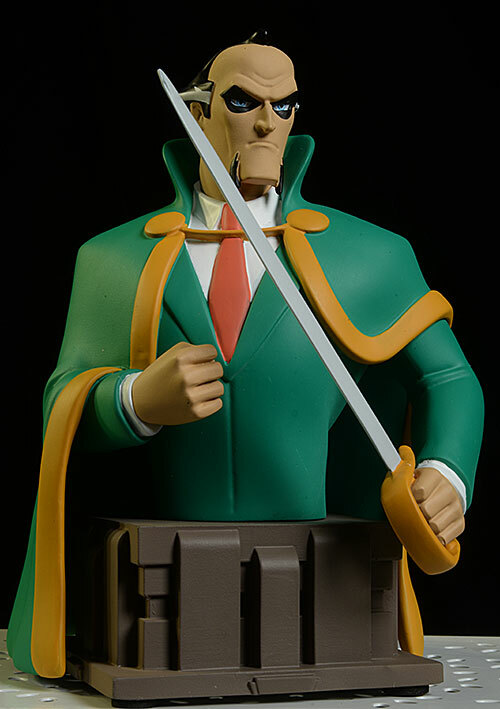 This guy is shipping now, and you can expect to pay around $50 at most retailers. He's also a limited edition of 3000. While I like the basic graphics and really like the inclusion of a Certificate of Authenticity, they lost a half star due to the less dense styrofoam eggshell trays. I hate the little bits getting everywhere...but the COA does include the edition number and size, which is also printed on the bottom of the box and the bottom of the base. I've been happy with the detail and posing of almost all of these mini-busts, but this is a particular favorite. 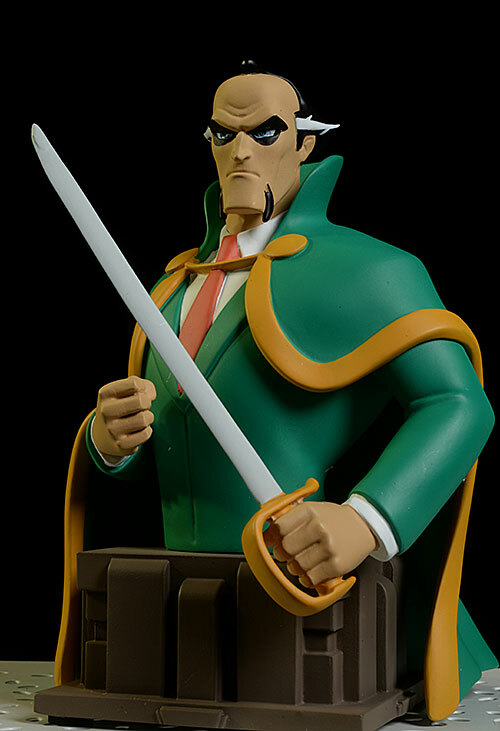 From the brandished sword to the flowing cape, it captures the look and attitude of the cartoon version perfectly. The stoic, serious expression looks good, and there's enough sculpted detail to create a visual interest without losing the simplistic style of the show. 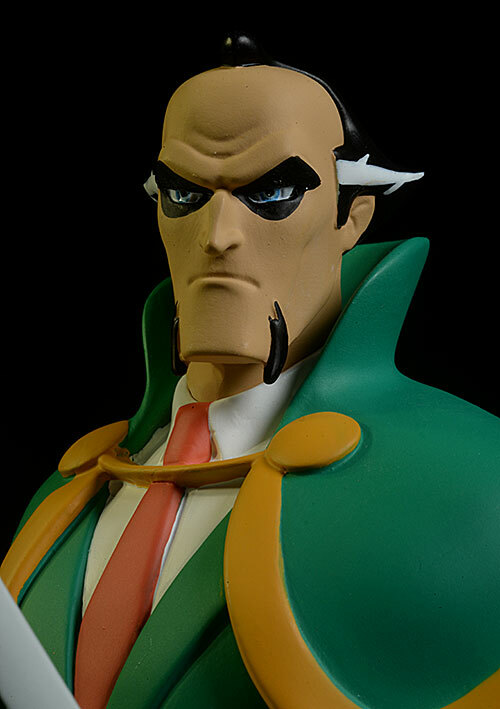 The bust stands about 6 inches tall overall, fitting in nicely with the rest of the line. Remaining consistent with the Gotham architecture inspired base is a wise move as well. We live in the real world, and in the real world you can't save money without cutting costs. For these to be considerably cheaper than similar size busts from other companies, something had to give. It's the paint. It's not awful, particularly in hand. 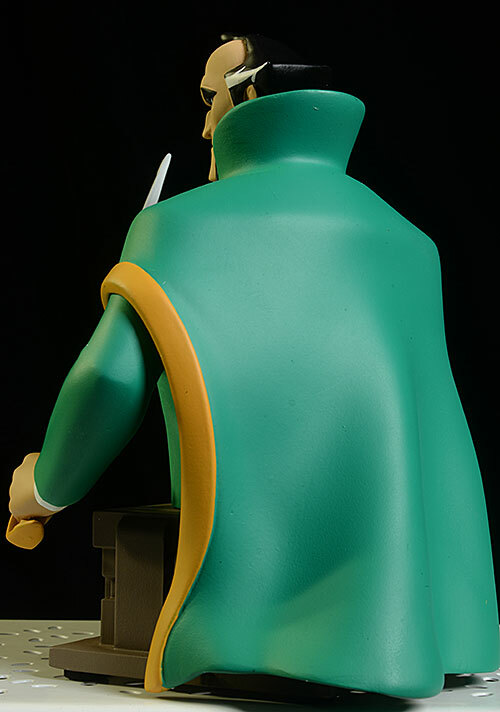 But there are some sloppy edges on most colors, particularly on the costume. The areas where a single color covers a big section are consistent and even, and there's no weird finish issues, like bright spots or rub marks. There's a speck of dirt here and there, but the overall impact in hand is good. This guy is just $50, while others are charging far more for similar size and quality busts. You're getting an excellent value with these, something we don't see enough of these days. If you're picking him out in person, you'll want to look for the best possible paint job of course, but otherwise you should be good to go. Another nice release in the overall line. Sure, the paint isn't quite perfect, but it's a trade off with the excellent price. The sculpts and designs are great, and the character selection has been good. 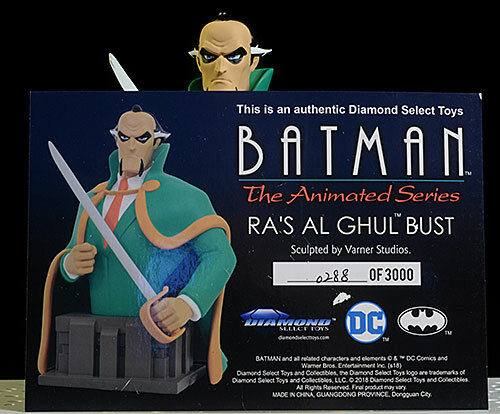 I have a lot of different BTAS items, but I suspect that these busts will be one of my favorites in the years to come. - has him for just $50. - Entertainment Earth also has him for $50. I've looked at a number of these, including Killer Croc, Clayface, Mr. Freeze, Man-Bat, and Harley.